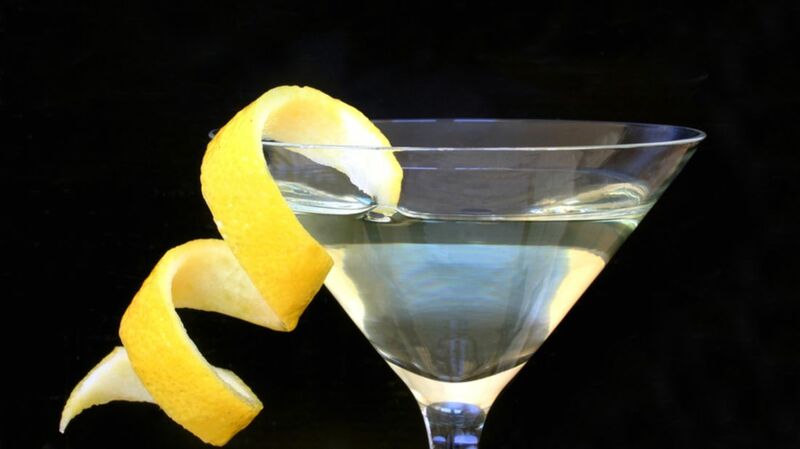 Since the 1920s prohibition era, the martini has represented a mix of class and flair, style and elegance. And while prohibition is (thankfully) long gone, the drink’s popularity—and ABV—remain strong. Today, the martini has become half drink, half art form, and bartenders far and wide are experimenting with ways to refine and perfect this iconic cocktail. For this year's National Martini Day (June 19), we’ve compiled seven tips and tricks from some of the most revered cocktail experts to help you have your most delicious martini yet. 1. SAY NO TO VODKA. While some dry martini recipes may call for a splash of vodka, Derek Brown, a leading spirits and cocktail expert and owner of the Drink Company, says you’re better off with just gin. 2. VERMOUTH IS A MUST. Sure, vermouth may lower the overall alcohol levels in your drink, but be honest with yourself—is that really a bad thing? Not only will you thank yourself in the morning, Brown also guarantees you’ll have a much tastier martini tonight. And his feelings are pretty strong on the issue. While it may be tempting to add extra olives or go heavy on the gin, Alexis El Sayed, head bartender at Art Bar in Manhattan, reminds us that simplicity and balance are key. 4. DON'T OMIT ORANGE BITTERS. To get that classically bitter martini taste, add in some orange bitters. Brown says this is the most commonly forgotten ingredient, but the combined bitterness and citrus notes can make or break your martini. Sure, James Bond is known for requesting his martini “shaken, not stirred,” but not only will you sound ridiculous repeating his signature line, but you'll also be doing your cocktail a disservice. 6. ADD LEMON INSTEAD OF OLIVES. While olives may have the iconic martini look, they’re often served at room temperature and can therefore heat up your drink—a big no-no. Serve your drink cold with an expressed lemon peel for top-notch taste. 7. SERVE IT IN STYLE. Just like a book, many judge a martini by its cover. Pay attention to the glass and garnish, and, as El Sayed suggests, “be sure that the presentation is just as pleasing as the taste.” Because let’s be honest—part of the allure of an expertly crafted cocktail is its shareability factor. A beautiful Instagram shot is one of the most important ingredients for #NationalMartiniDay! To celebrate in style, here are two recipes from Brown and El Sayed for some tried-and-true perfect martinis. Combine ingredients and stir with ice until very cold. Strain into chilled cocktail glass. Express oils from lemon peel on surface then discard the peel. Pour all of the ingredients over ice into a shaker, and squeeze juice from 1 lime wedge. Shake vigorously. Strain into a martini glass, and garnish with a cucumber slice and a lime wedge. Serve immediately.